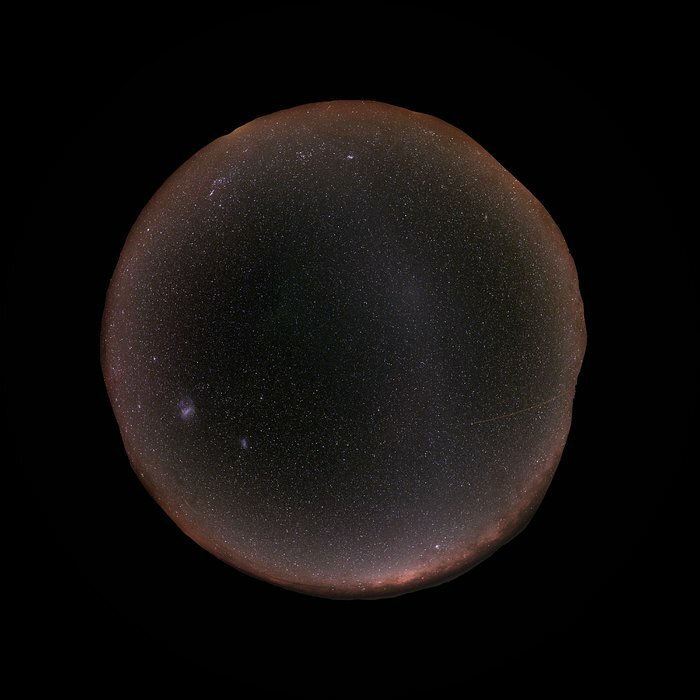 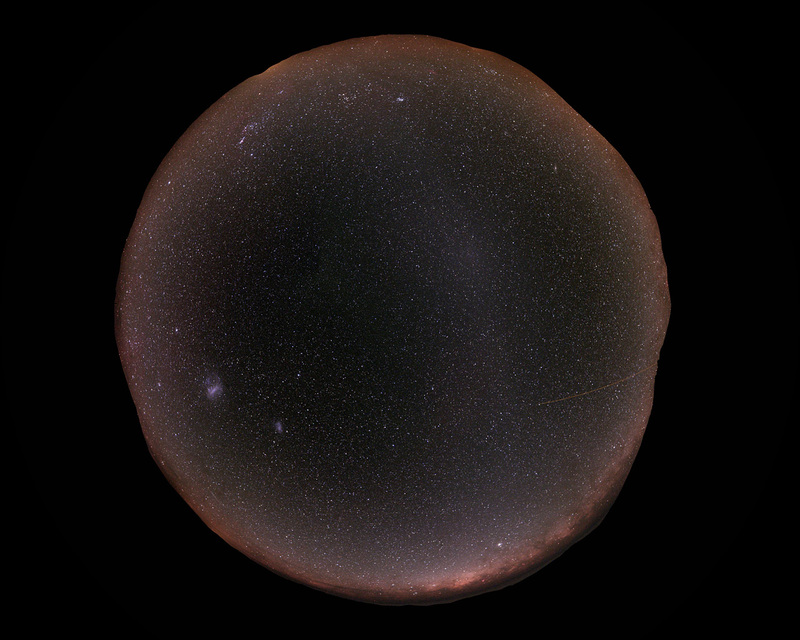 At Paranal, home of ESO's Very Large Telescope, the sky is so dark that the famous and extremely difficult to observe Gegenschein (or "counter shine") can be seen here. 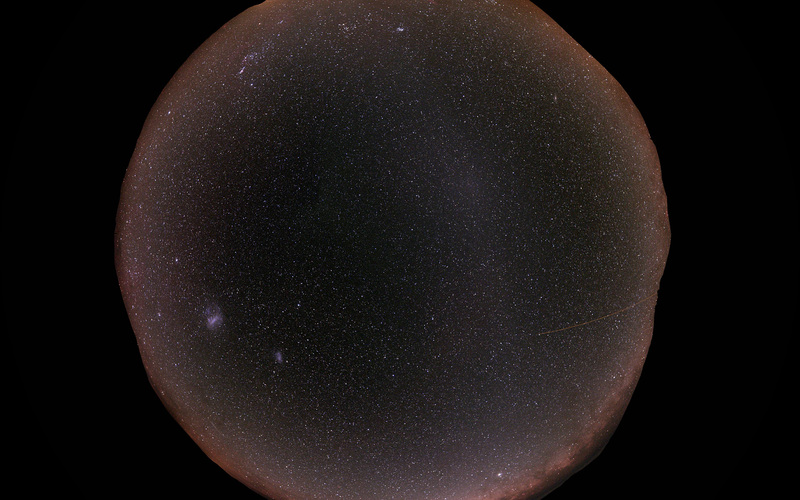 This is a faint brightening of the night sky in the region of the ecliptic directly opposite the Sun, caused by reflection of sunlight by interplanetary dust in the Solar system. 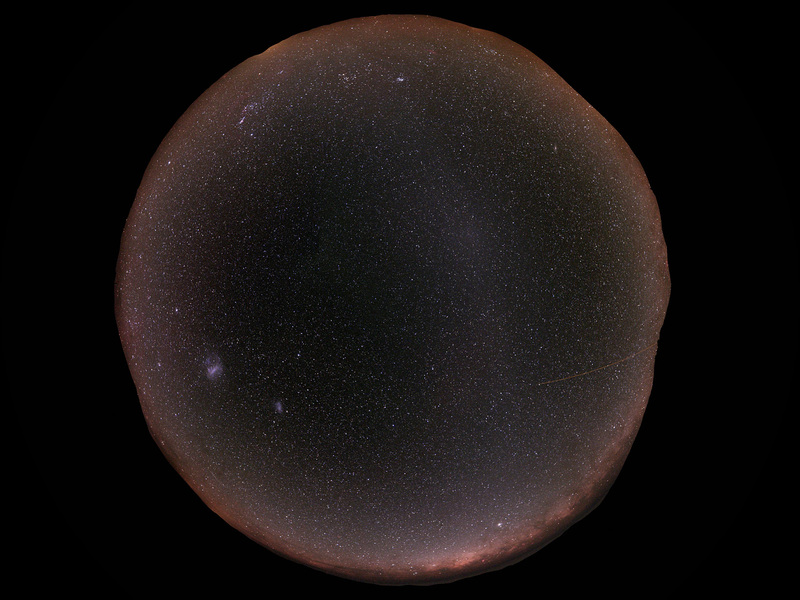 The photographer used a fish-eye lens to obtain the round effect.